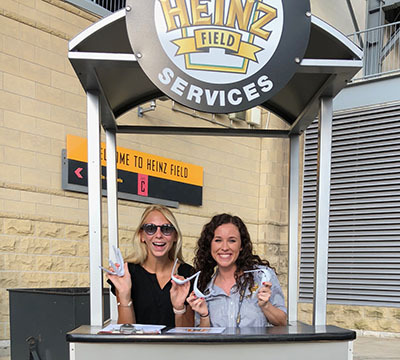 Several sports, arts and entertainment management students including Georgia Fowkes ‘20, Leah Markley ‘20, Tyler Richey ‘19 and Madison Winger ’21, along with alumnus Adam Sutermaster ’13, worked at the Taylor Swift Reputation Tour concert at Heinz Field. “It was such an amazing experience. It is so humbling to see the fans who come to her show decked out in handmade costumes, smiling and exciting to cheer for Taylor!” said Fowkes, a graduate of Montour High School in McKees Rocks, Pa.
Fowkes and Markley, pictured left to right, distributed light-up wristbands to guests as they arrived to the show. Richey worked load out after the show with the CAT Power team, who provides generators and power lines for Swift’s entire tour. “My favorite part was working with a supervisor of such professional quality. 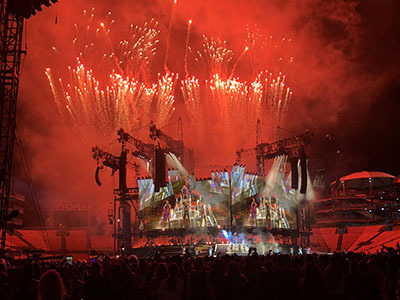 By working this show, I learned firsthand how large of a scale stadium concert tours truly are,” explained Richey, who graduated from Connellsville Area High School in Connellsville, Pa.
His career goal is to work in the live entertainment industry as a stage or general manager. Additionally, Jason Varnish, MS, owner of BOM Advisers and part-time instructor in the SAEM program, worked at the show by assisting the box office manager and staff with field seating preparation, customer resolutions and mobile ticketing. “I love seeing our students out in the field at these events putting to use what they learn in the classroom. This was definitely the largest and most high-profile show of the summer here in Pittsburgh. 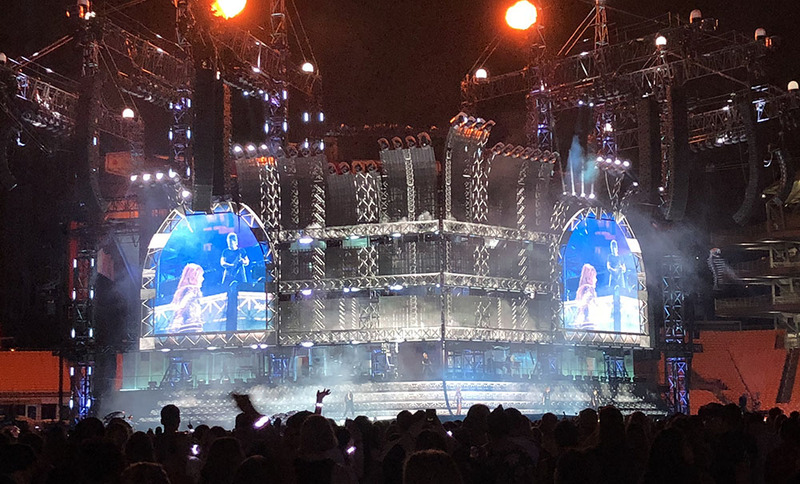 Students and alumni who worked at this concert should be proud of their part in it,” said Varnish, who teaches the Box Office Management class in the SAEM program. According to Richey, his classes in entertainment management have greatly enhanced his understanding of the music business. “I have also been able to meet and connect with many professionals both through class and my experience with Pioneer Records,” Richey said. Point Park University Rowland School of Business students and alumni have worked at many concerts, events and shows in Pittsburgh within the past couple of years, including those listed below.